July | 2015 | Welcome to the RW Carbon Blog! 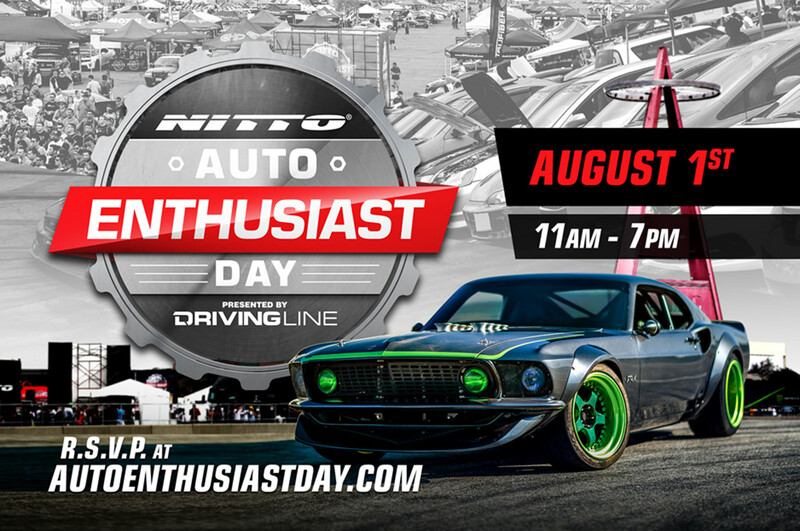 For all our SoCal auto enthusiast residence, we have Nitto Auto Enthusiast Day coming up this Saturday, August 1st. The event is put on by no other than Nitto themselves and is being held at the Angel’s Stadium in Anaheim California. The event opens to the public at 11:00am and runs though 7:00pm. Everyone is welcome to join in on the fun, entrance is free and parking is only $10. Show car spots are already filled, which means tons of new cars to check out as well as tons of other cool events. The promoters will be putting on drifting, truck and stunt bike demos throughout the day. Professional drivers will be present like Tanner Foust and Von Gittin Jr. to put on a great show and sign autographs. So come on down and be apart of this great show, and do not forget to spot by to see us, RW Carbon. 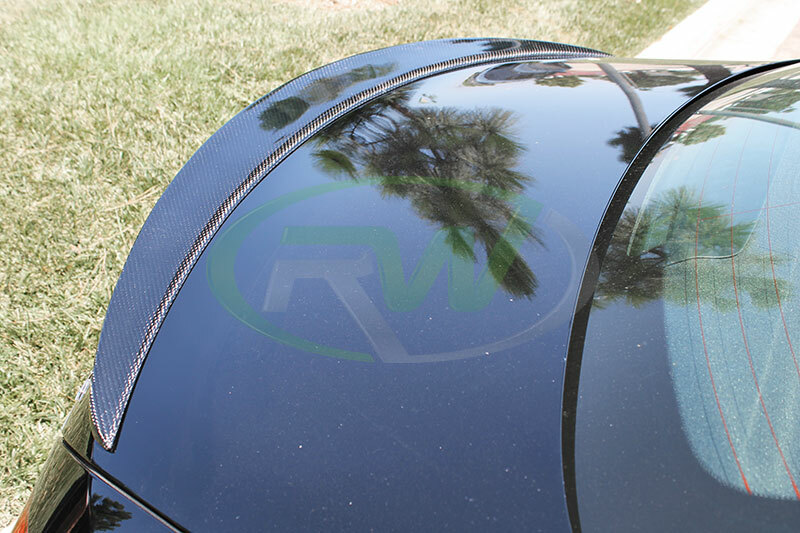 We will have several show cars decked out with RW Carbon products, free posters and a live DJ. Last week we had a customer roll by with his new 2015 Mercedes C400. 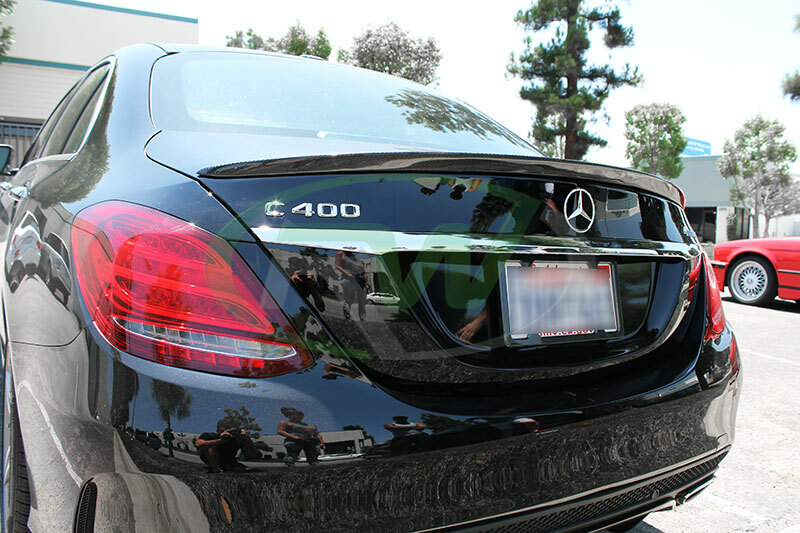 He was looking for a spoiler to exude a more sporty appearance for his turbo Benz. 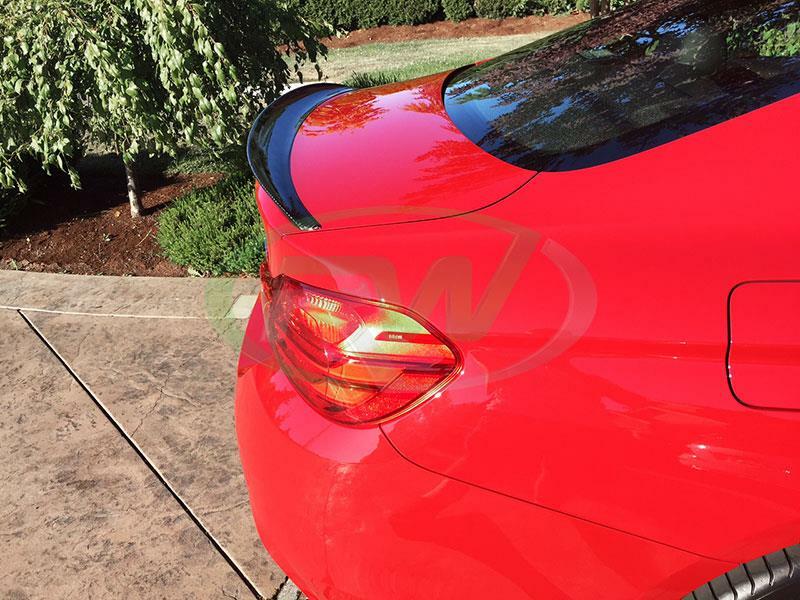 We fitted the W205 carbon fiber trunk spoiler while he waited. 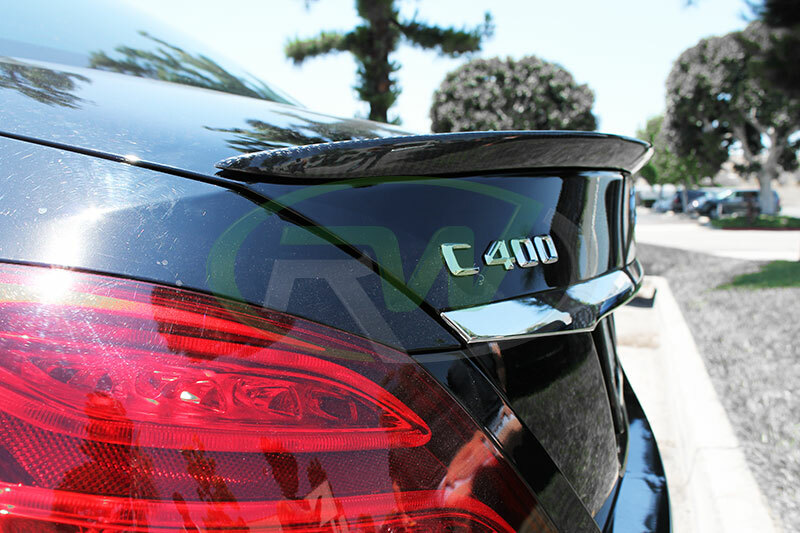 As the pictures below show, this spoiler was exactly what this Mercedes C400 needed to make it his own, personalized car. We installed this carbon fiber trunk spoiler for the customer while he waited in under 10 minutes. Thinking about picking up a trunk spoiler for your Mercedes or BMW? Come on by our shop in Pomona. We can also ship around the world if you are not local to us! New Mercedes SLS AMG Carbon Fiber Diffuser! 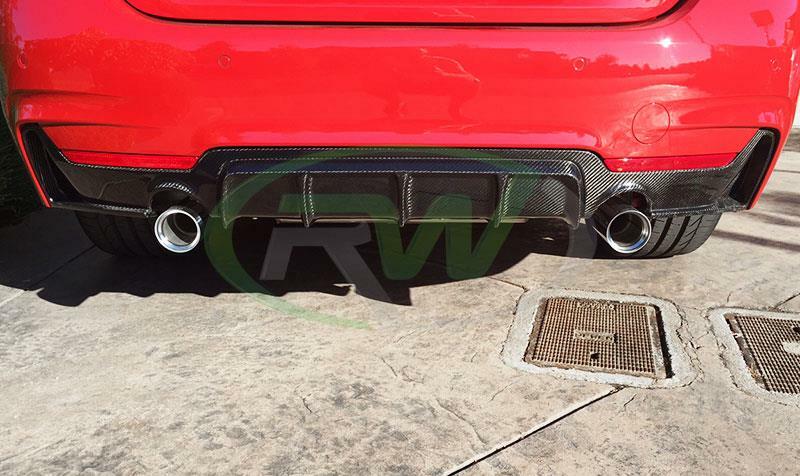 RW Carbon is proud to release our first Mercedes SLS AMG product, the Renn Style Carbon Fiber Diffuser. 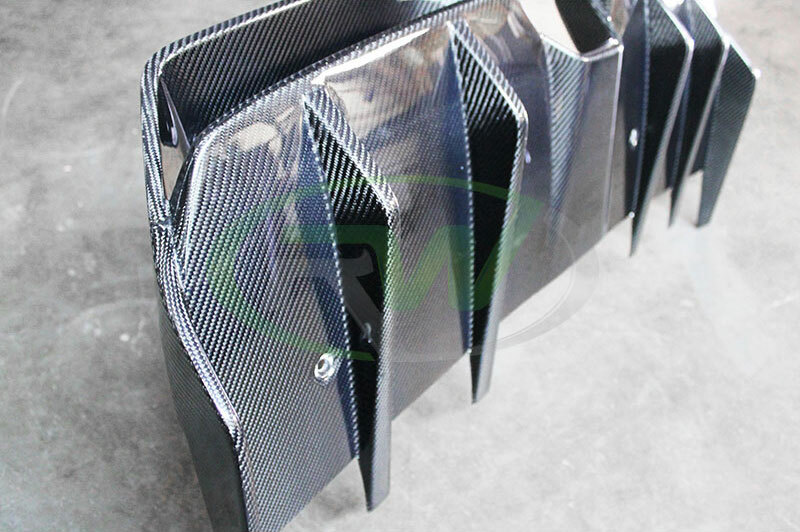 This item is made by hand and only by the best carbon fiber makers at our factory. 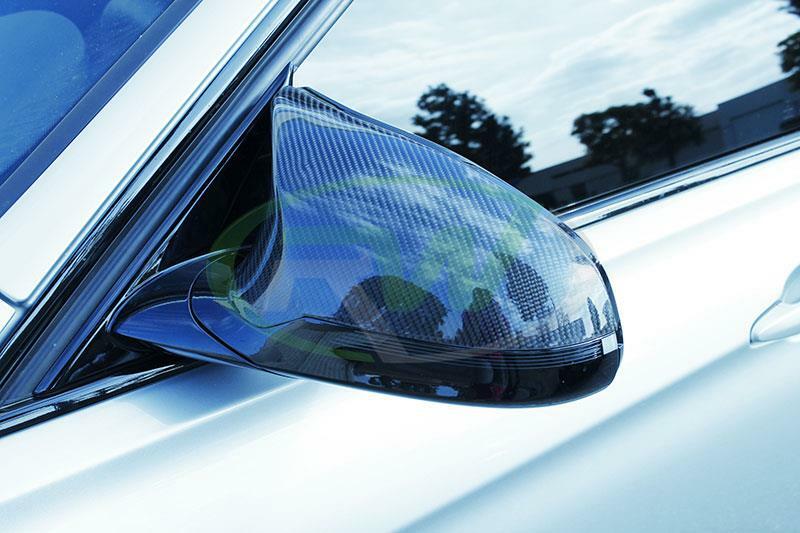 We use even higher quality clear coats, resins and the best automotive grade 2×2 carbon fiber fabric. Each diffuser takes one person over 1 week to produce a single piece. This makes sure each one is flawless and built with the best care and quality possible. Before these diffusers leave our California Facility we rigorously inspect the piece to make sure it is free of defects. 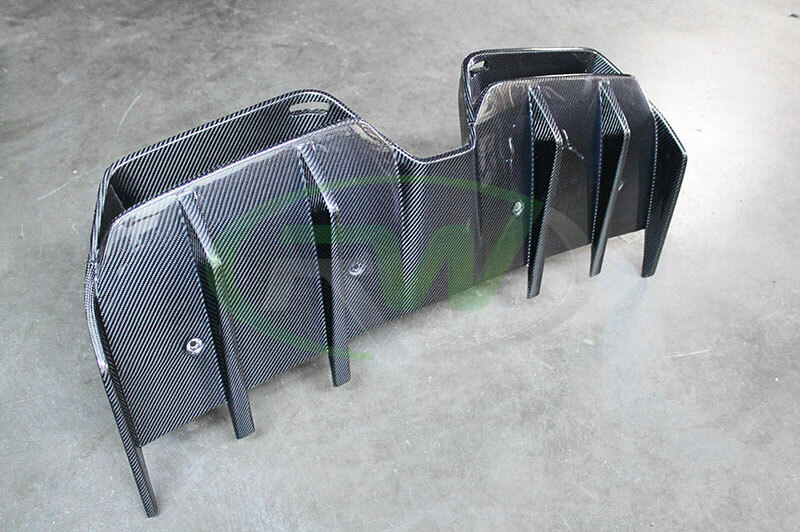 These SLS carbon fiber diffusers also carry the RW Carbon fitment and quality guarantee. To view more pictures of the diffuser and to read more about it please click the link below. If you have any further questions about this Renn Style Carbon Fiber Diffuser for the SLS AMG please give our carbon fiber specialists a call at 714.328.4406. We just received these nice pictures from Cherbel a good customer of ours hailing from Canada. 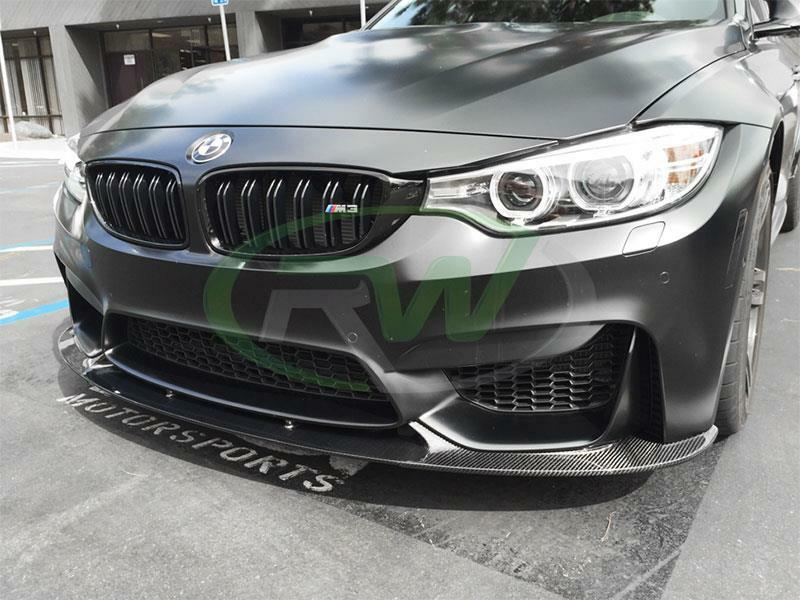 Cherbel fitted his F32 435i with the full RW Performance style carbon fiber kit right off the showroom floor. Before this vehicle even saw public roads it was fitted with all of our carbon fiber parts. Up front Cherbel chose to ditch the OE chrome grilles in favor of a more aggressive set of gloss black grilles. And what aero kit would be complete without the performance style carbon fiber f32 lip! 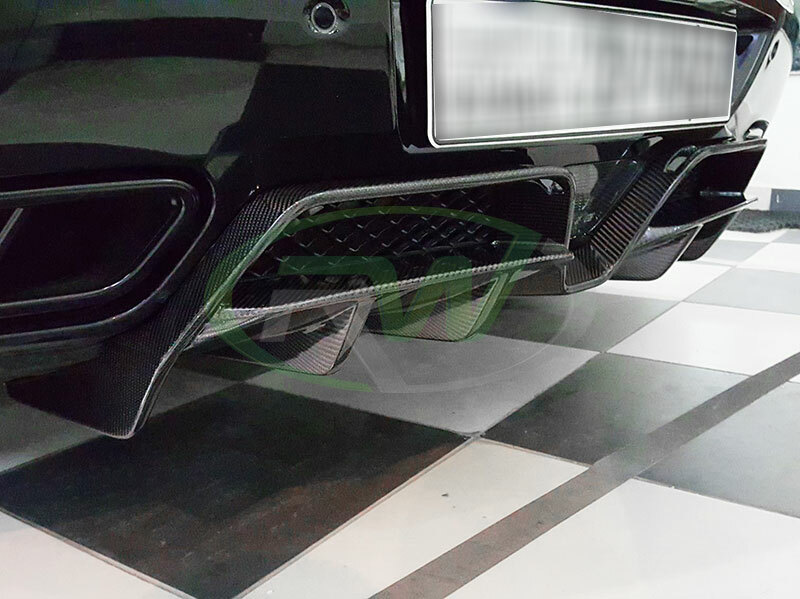 For optimal fitment and quality this F32 carbon fiber lip is 100% carbon fiber and features 3 piece construction. Out back we keep with the performance theme on this BMW 435i. 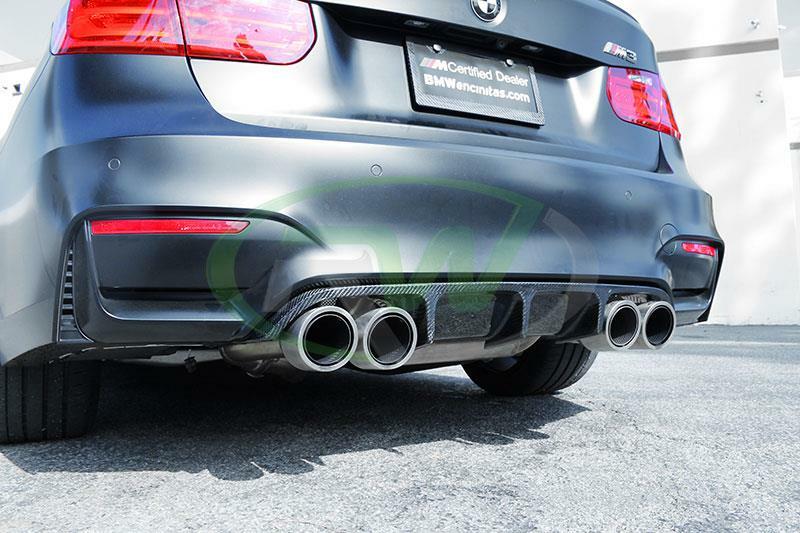 Performance style f32 carbon fiber rear diffuser wrapped around the exhaust tips, and a trunk spoiler. As the pictures show all of the RW Carbon parts fit extremely well and add to the overall stance and personality of the 435i. To keep these parts looking like new we recommend all of our customers including our Canadian ones to wax them at least every other wash.
Lastly, this red 435i was fitted with a set of replacement carbon fiber mirror caps. These mirror caps fully replace the painted portion that comes on your 4 series from the factory. In under 10 minutes you can snap off your factory caps and snap in these new carbon fiber f32 mirror caps. New BMW F8X M3/M4 Parts Have Arrived! Our last shipment was filled with tons of new carbon fiber parts for the F80 sedan, F82 coupe and F83 convertible M3 and M4. 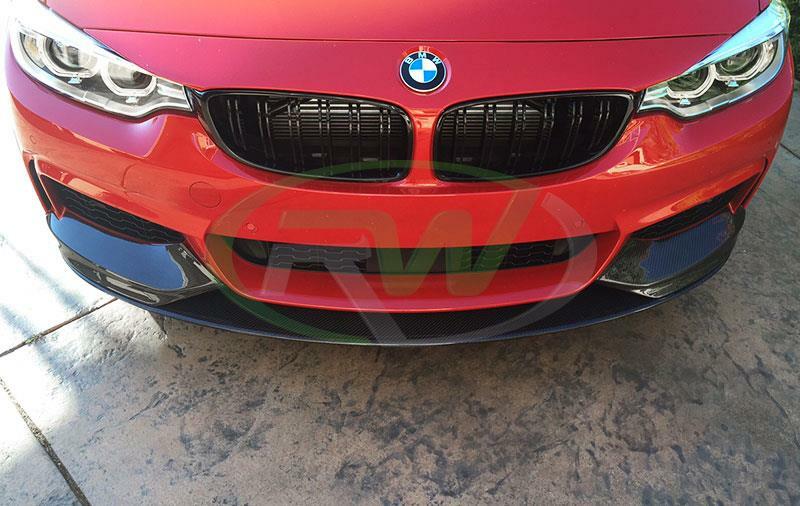 This time we are introducing the 3D style front lip spoiler, carbon fiber mirror covers and the RKP style rear diffuser. Check them out below for more pictures and information. Keep a look out in the coming weeks for even more parts for your M3 & M4. Next we have the V Style front lip and carbon fiber side skirt extensions.